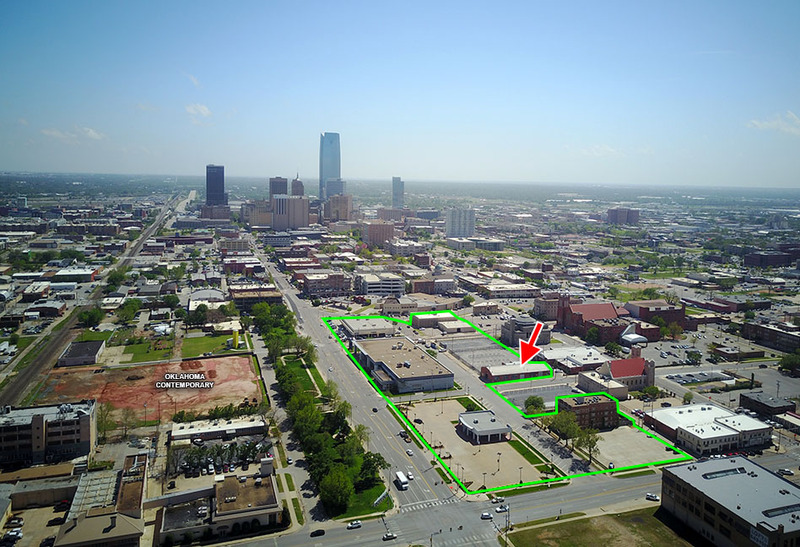 As we reported on May 4th, the Mercedes-Benz of Oklahoma City dealership had very recently relocated to a new facility near Edmond, leaving behind several structures and holding lots. The property is owned by the Midtown Renaissance group which has been behind the great renovations of the Buick and Pontiac buildings, the Marion Hotel, The Klein and several other quality projects. They are also soon to start on the new Monarch office building. 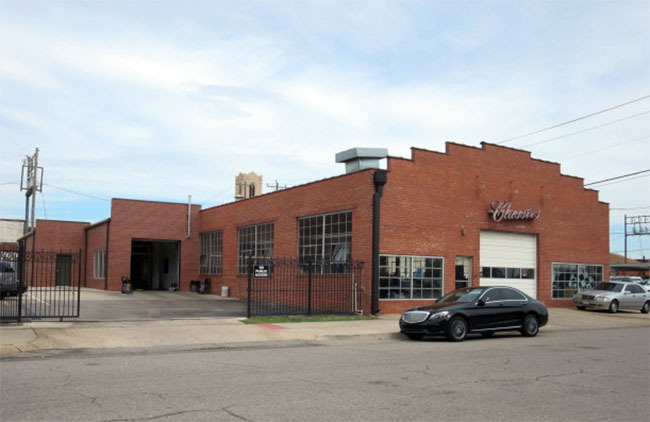 Now, the development and investment group is preparing to re-purpose the old Mercedes detail facility at 1225 N. Broadway Place, a historic barrel-roofed building constructed in 1940. 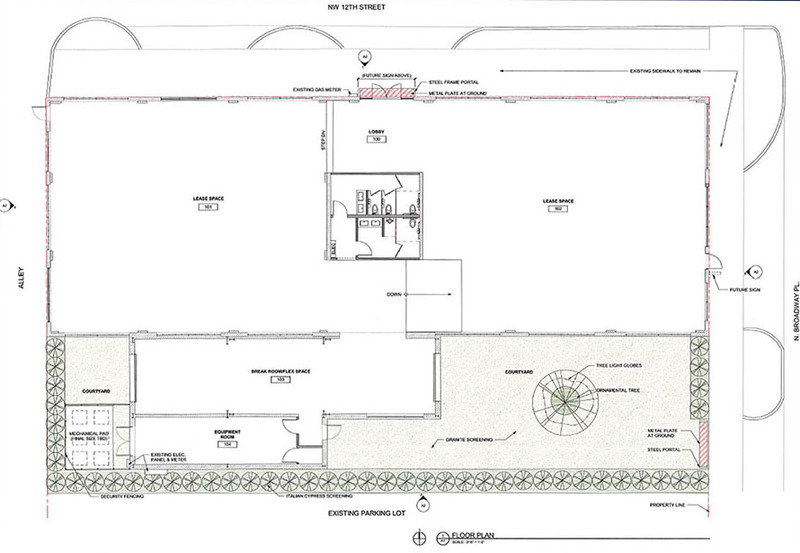 Plans filed with the Downtown Design Review committee show the space being split between two new tenants, a new outdoor courtyard, and replacing windows and overhead doors with new glass. The building at 1225 N. Broadway Place contains 8,556 interior square feet.